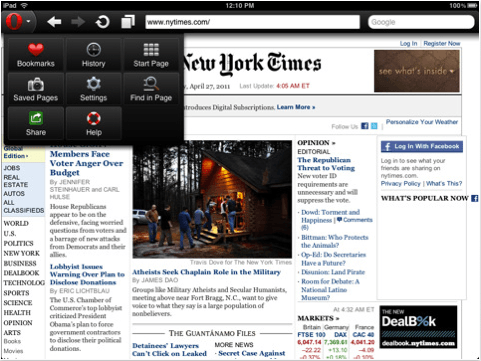 This Week’s Must-Have iOS Apps: eBuddy XMS, Apple Store, Opera Mini & More! Already famous for its excellent Pro Messenger IM application, eBuddy has taken real-time messaging to the next level with eBuddy XMS – a free, real-time messenger that enabled you to chat with text, pictures, emoticons and more. 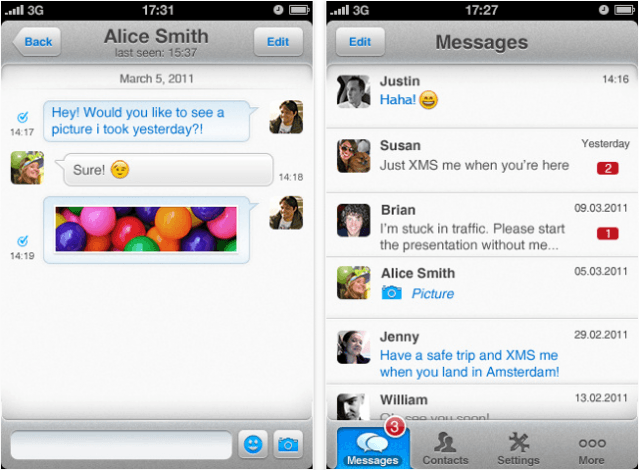 It features a highly-polished user interface and an experience guaranteed to give apps like WhatsApp and PingChat! some real competition. In addition to the recent launch of ‘Apple Store 2.0′, the Apple Store application for iPhone also got a much-needed revamp. The latest version of the app works internationally and boasts some great new features. Opera Mini has been the iPhone browser of choice for many since it launched, promising to be the fastest, most cost-efficient web-browsing experience for your iOS device today. Its recent update made it a universal application delivering all its Opera goodness to the iPad, which impressed Cult of Mac’s Giles Turnball in his recent review. Find out more about the applications above and check out the rest of this week’s must-haves – including Contacts Journal and Aelios Weather – below! eBuddy XMS is a real-time messaging application that allows you to exchange unlimited text messages, pictures, emoticons and more, completely free with your friends. While it may offer a list of features similar to the countless other messaging apps for iOS, it is its beautifully polished UI and impressive user experience that makes eBuddy XMS stand out from the crowd. It has a nifty status system that confirms your message has been sent and when it has been received by your recipient; it supports cross-platform messaging between iOS and Android devices – and soon BlackBerry as well; you can customize its message sounds; and find new contacts on Facebook. 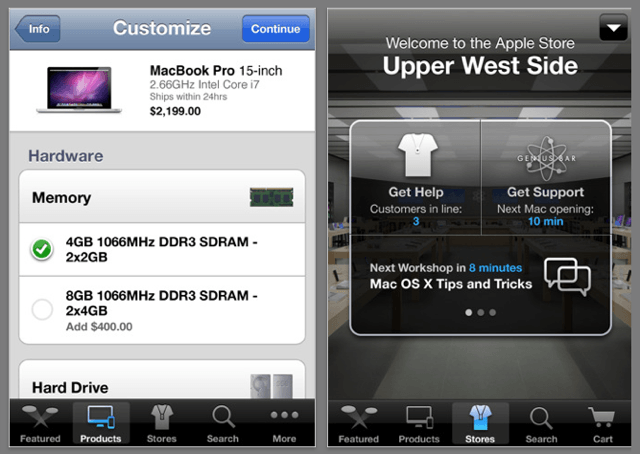 Apple Store version 1.3 now allows you to custom-configure your new Mac purchase with all the upgrades and extras you need. Add additional memory, a bigger hard drive, wireless peripherals, and order pre-installed software just like you would from the Apple online store. When visiting one of Apple’s stores, you can now use the application to request help from a specialist, book Genius Bar and ‘One to One’ appointments, and discover upcoming workshops and events. Use the application to check in to your appointments when you arrive at the store, and receive meet-up alerts when your specialist is ready to see you. In addition to these new features, the application now works internationally. Opera Mini has been providing us with lightening fast web browsing on our iPhones since its initial release just over a year ago, and with its latest update, we can enjoy the experience on our iPads. Opera’s magic servers compress your data by up to 90% while you’re browsing the web to deliver up to 6 times faster browsing. Its handy ‘Speed Dial’ feature provides you with quick & easy access to all of your favorite bookmarks with a single tap, and visual tabs give you a preview of the windows you have open and offers simple switching between them. You can synchronize your bookmarks and Speed Dial favorites with your PC and other devices. If you find web browsing on your iPad a slow and painful experience, give Opera Mini a try – I think you’ll be pleasantly surprised. Contacts Journal is a brilliant contacts manager for the iPad and is currently on sale for a limited time. It allows you to keep track of all the people you meet on a daily basis, then organize their information for easy access when you need it. Log all communication with your contacts to keep track of meetings, telephone calls and emails, and then review them later to help you prepare for your next meetings. Set to-do lists for each contact to remind you of important events and follow-up tasks; and export you data via email, CSV, and to your iPhone contacts app. You can also backup all of your information to your Dropbox account for easy access wherever you may be. If your iPad’s contacts app just doesn’t cut it for you, Contacts Journal is a great alternative. 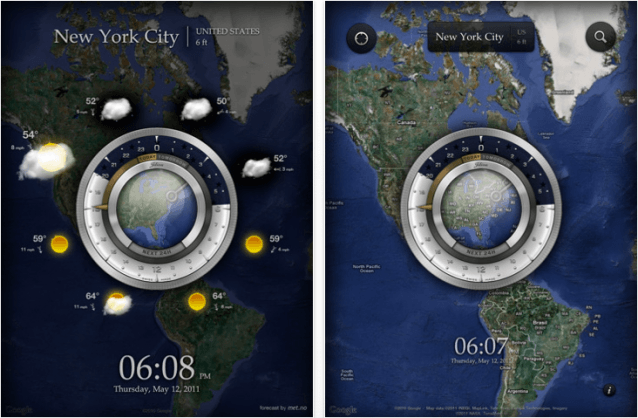 Aelios Weather is a stunning weather application for the iPad that allows users to explore the world, intuitively select their favorite locations, and then view easy to understand weather forecasts – all within a wonderful UI. The team behind the application say they “designed Aelios like a finely crafted Swiss watch, an object that people can be proud to own and which is useful every day.” It boasts weather forecasts for any place on Earth, a 24-hour virtual watch, day and nighttime indicators, real-time smart location selector, one-touch weather with geo-location support, detailed weather data and lots more. As weather applications go, Aelios is one of the most impressive.